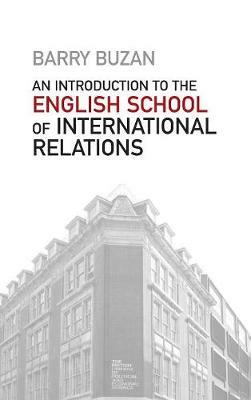 This outstanding book is the first comprehensive introduction to the English School of International Relations. Written by leading ES scholar Barry Buzan, it expertly guides readers through the English School s formative ideas, intellectual and historical roots, current controversies and future avenues of development. Part One sets out the English School s origins and development, explaining its central concepts and methodological tools, and placing it within the broader canon of IR theory. Part Two offers a detailed account of the historical, regional and social structural strands of the English School, explaining the important link between the school s historical projects and its interest in a societal approach to international relations. Part Three explores the School s responses to the enduring problems of order and justice, and highlights the changing balance between pluralist and solidarist institutions in the evolution of international society over the past five centuries. The book concludes with a discussion of the English School s ongoing controversies and debates, and identifies opportunities for further research. For students new to the topic this book will provide an accessible and balanced overview, whilst those already familiar with the ES will be prompted to look afresh at their own understanding of its significance and potentiality.